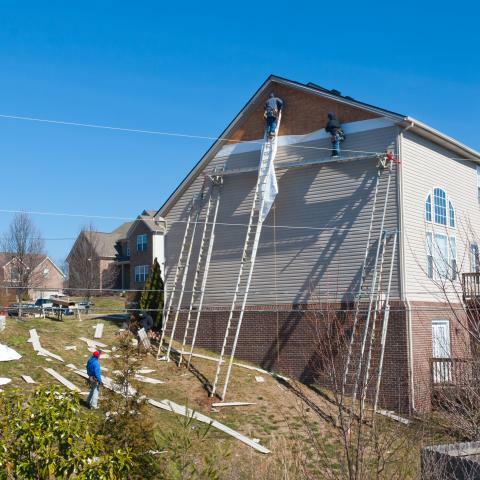 In addition to being able to completely renovate a unit by fire, wind and water or replacing an entire complexes roof to multiple buildings, our mission is to make the HOA Manager’s job easier. We offer reliable, prompt, quality maintenance and repair services for residential communities. We understand the HOA Managers are responsible for ensuring the communal areas of a community are kept in good condition, and we take pride in providing efficient service to communities across the area. We provide timely estimates, on time job completion and follow-up photos and reports to Managers. Our efficient service means Managers spend less time overseeing repairs and maintenance issues. Contact us today for additional details about our maintenance program.